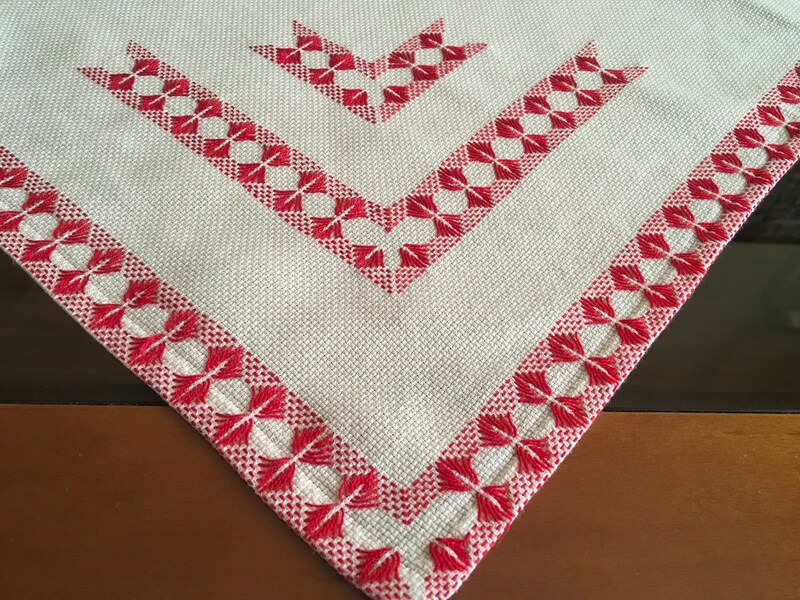 This beautiful table topper was made by my MOTHER. 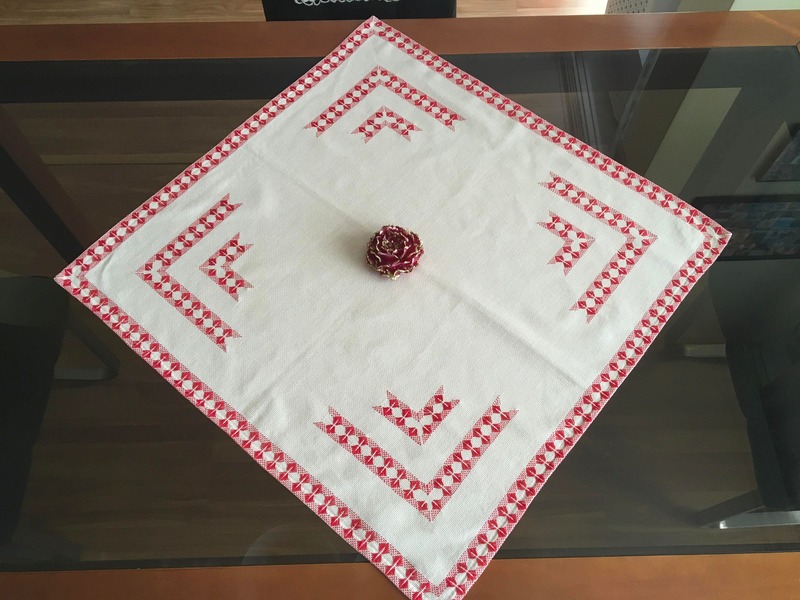 Hand Embroidered Tablecloth from Bulgaria. 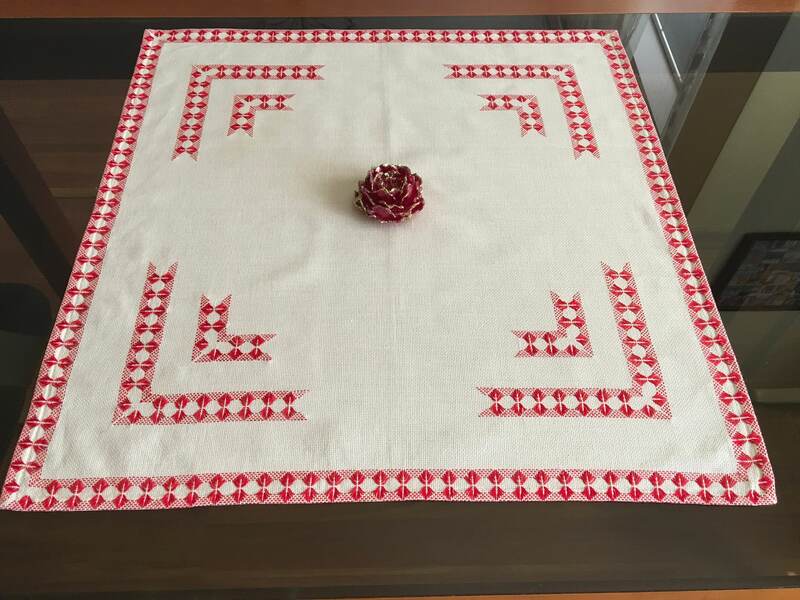 Handmade embroidered crochet tablecloth made from 100% natural cotton of the highest quality. 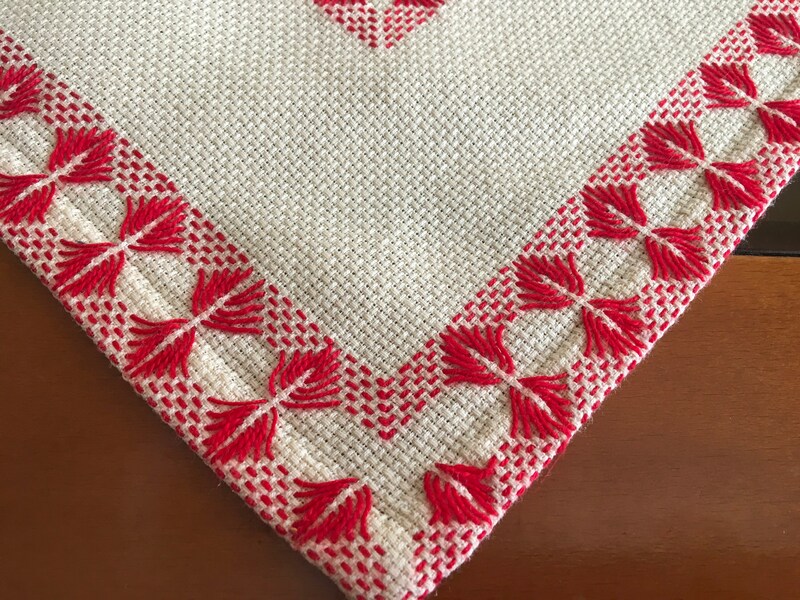 The tablecloth is beige linen fabric, embroidered with cotton threads in red.